Sidney and I watched a few episodes of The Great British Bake Off a few months ago and it got me inspired to frost cookies. In order to frost cookies I have to have cookies so this weekend I baked three different batches of sugar cookies. 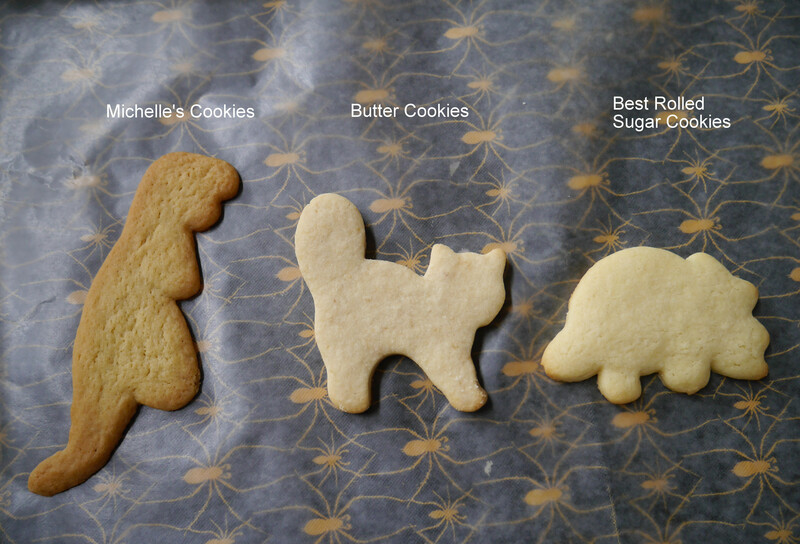 I figured I should try a few different recipes to determine which cookie I like best. Yesterday I baked the cookies. I made two recipes I found on allrecipes.com and one recipe my family has made many times: Michelle’s sugar cookies, Best Rolled sugar cookies, and my family’s Butter Cookies. They are similar in that they basically have the same ingredients: flour, sugar, eggs, butter, and some kind of rising agent. However, the amounts each recipe has of those ingredients do differ. I didn’t follow the recipes in regards to chill time, but after a quick google search it appeared that it was okay. The dough chilled between 4 and 6 hours. The butter cookie dough and the best rolled sugar cookie dough had to thaw for about an hour before rolling. The picture below shows a glimpse as to how the different recipes turned out. I baked Michelle’s cookies first, butter cookies second, and best rolled third. Baking took longer for each cookie then the recipes said, about 2 extra minutes (maybe my oven is old). Michelle’s cookies expanded an amount I was not expecting (I was used to the butter cookies, which expand very minimally) and so most of the shapes were destroyed. With that experience I made sure the remaining two batches were well spread apart but even then, the best rolled cookies touched slightly. I made over 100 cookies. It took up almost my entire evening but it was fun, something I’ve never done before. Then this afternoon I iced the cookies! 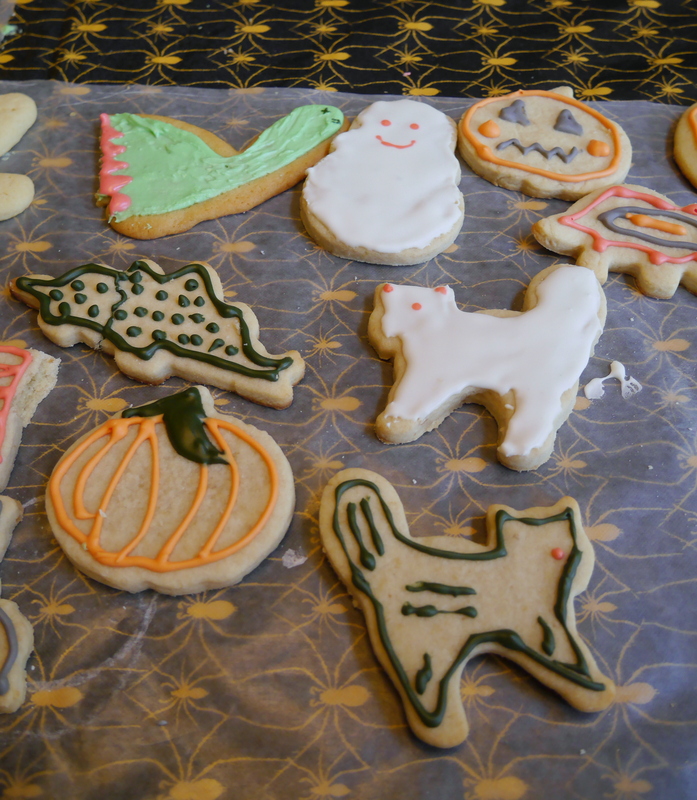 Sidney made royal icing and I then proceeded to ice 50 cookies (these cookies are good without icing too!). Sidney iced a few and Elisabeth and Gene iced a couple. The icing was thick but that’s something we can correct next time by adding water (this youtube video shows how). 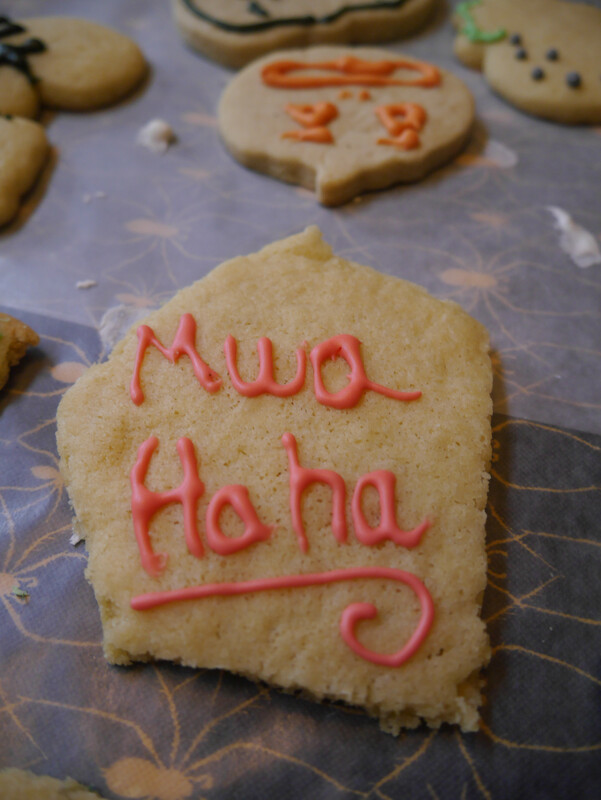 I spent over two hours icing cookies, getting sugar all over my hands, and laughing at myself and my icing prowess. My technique is not close to being a pro but I have to start somewhere. 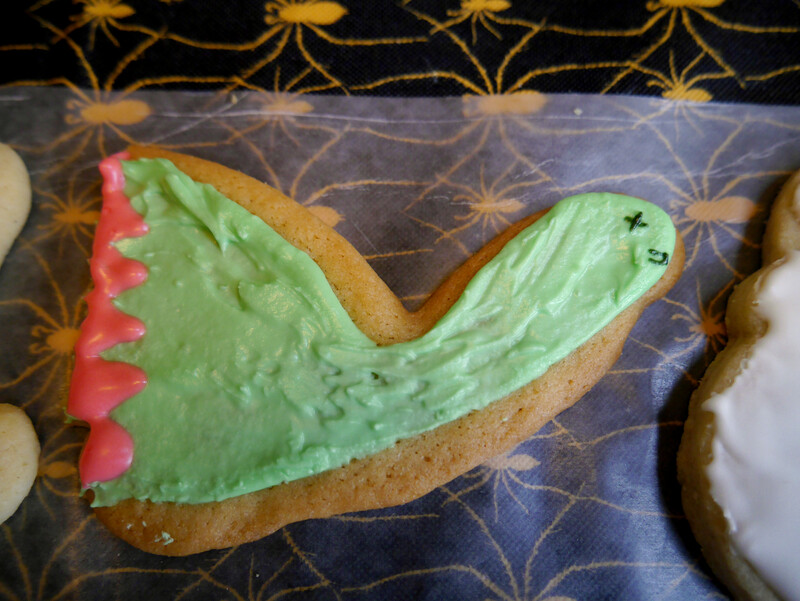 I think thinner icing will help and of course, lots of practice. So how did the cookies taste?! In regards to softness, I liked the Best Rolled Sugar Cookies the most. They were the kind of cookie I was looking for, they came out a bit thicker and they stayed soft. The butter cookies are also good but they are quite rich and aren’t exactly sugar cookies. They are also more firm. I like that they keep their shape best out of all the recipes. I won’t be making Michelle’s recipe again but I will definitely add the Best Rolled Sugar cookies to my recipe folder. Thank goodness I have a work potluck tomorrow because I don’t think four of us could finish these cookies fast enough. In Denver and want a cookie? Come on over, we have plenty of them! Oh! I’ll bring my secret recipe at Christmas and we can bake them — they’re super delicious! Making three batches of my favorite kind of cookie + spending all evening decorating them sounds like my kind of evening. 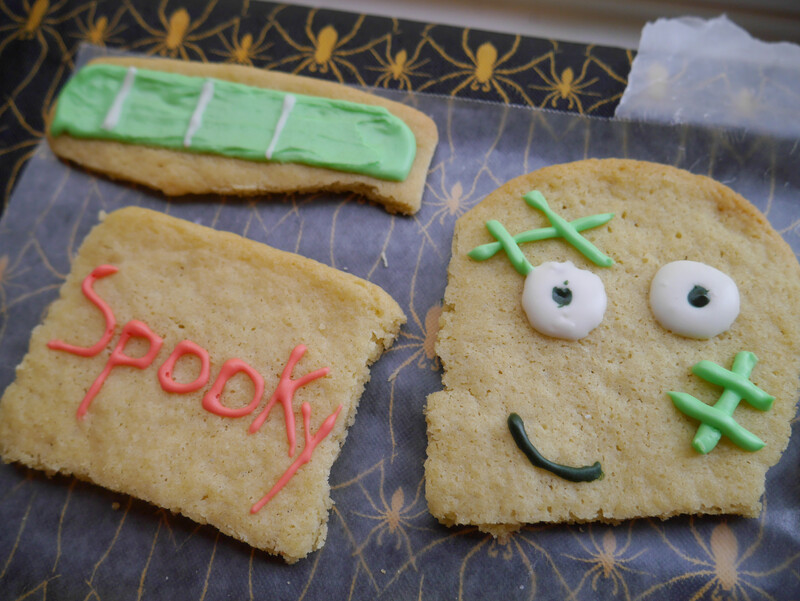 On that note, I tried to make my very own recipe of sugar cookies and they tasted more like a butter-shortbread cookie…tasty but clearly not what I was looking for as a sweet, soft sugar cookie. 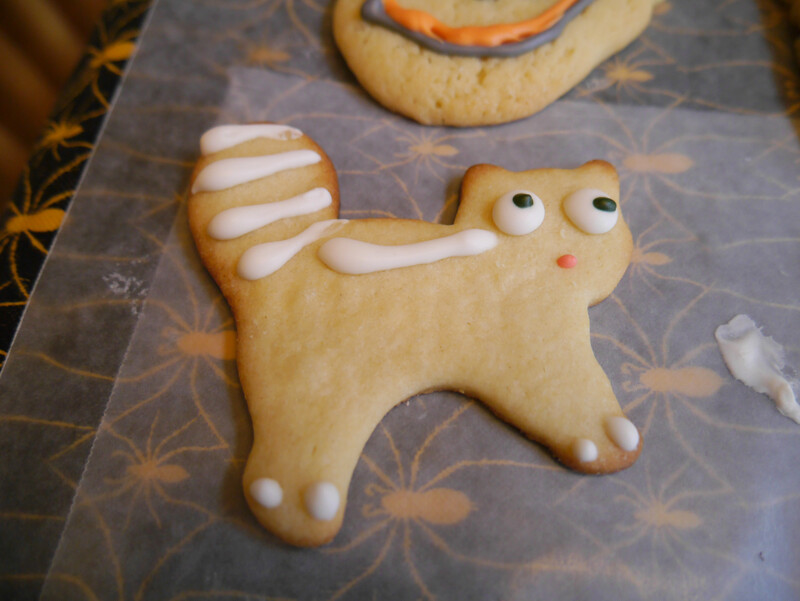 I hope to experiment more personally to find the perfect sugar cookie. What a fun idea. You have such a venturous spirit! The butter cookies get softer when they are stored overnight. I don’t know if you remember, but we used to bake the cookies one day and then ice them the next. I like the softer texture. By the way, do you still have that super easy sugar cookie recipe I gave you where you use a glass to press the cookies? I sent it to you when you were still in Kennewick and Gene was craving sugar cookies. He really liked those.They are yummy and require no icing. They’d be good for Christmas cookies. I absolutely love having you as my daughter – you bring me many smiles. Happy Halloween!